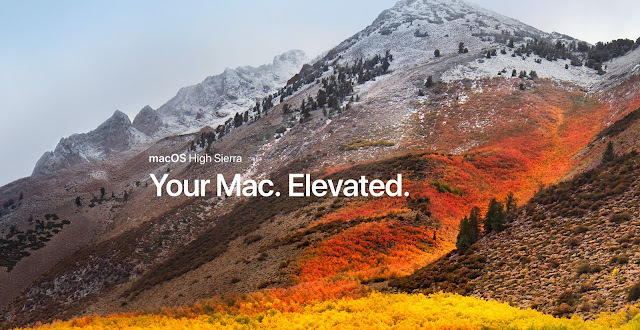 High Sierra: Not "High" Literally! The next version of Apple’s operating system for the Mac is called macOS High Sierra. The name of this Operating System relates back to the days of Snow Leopard and Mountain Lion. Well, brandishing not just a cool name but also several amazing features and performance upgrades, this OS' Safari browser is going to see tremendous improvements! After a lot of research, we got you the stuff you can expect from Apple's High Sierra! According to Apple, its Safari browser in High Sierra prodigiously outperforms Google Chrome, Mozilla Firefox and other browsers in benchmark tests. High Sierra is going to introduce Intelligent Tracking Prevention for Safari, a new feature that will block trackers of user data. "Now your privacy, your browsing history is your own" Federighi said at WWDC. No More Autoplay in the High Sierra Safari! Working at a project and have several tabs open, when suddenly a video starts playing and you just can't understand, which tab is the culprit! - Does this ever happen to you? If yes, then this is a feature you are going to love! Autoplay Blocking restricts websites from intervening and automatically playing video at you when you visit them, making it one of the most popular improvements. It also blocks advertisements which usually annoy us with their products, that we see in any of the online shopping websites. Intelligent Tracking Prevention uses built-in machine AI to nullify cross-site tracking by identifying and restricting cookies and other website data. It's intelligent tracking protection is present to provide better protection over the user's browsing and history data. When installing High Sierra, it will convert to a new, more modern file system called Apple File System or APFS. APFS is very much safe, secure and optimized for modern storage systems like solid state drives (SSDs). With features like native encryption, crash protection, and safe document saves that are built in, the new Safari is sure to be a stunner! Also, its extremely high responsiveness may make the Mac a breeze to use. First off, what is the WebRTC? When talking about WebRTC, we usually think about making a video conference call. There are two steps to start a call. First off, you need to provide access to Webkit to your device’s camera and microphone. HTTPS websites use the Media Capture and Streams API on Safari to do just that. Once the user grants permission through a prompt, capture streams start to flow. These streams can be tailored to websites’ needs through the use of certain constraints. Now for the second part, when you join the conversation, websites send the live streams to the other participants. One obviously wants to see the other participants live streams as well and this is where the WebRTC API kicks in. WebKit finds and creates the optimal network channel which enables connection of those streams. A company called BlueJeans is building solutions that will work with this implementation, enabling immediate video conferencing with zero downloads across all major sites. The new Safari browser is reportedly going to produce much clearer photos as seen on the 10.5 inch iPad Pro. A respectable software customization will enable users to capture some of the clearest photos around. Apart from the APFS in the High Sierra, its Safari will also have High Efficiency Video Encoding (HEVC) which results in improved video compression compared to H.264 and that too without sacrificing quality! The other major software improvement is the Metal 2, which will bring smoother animations to macOS and will help developers create much better apps and games for the devices with macOS High Sierra. Metal 2 has much superior support for machine learning, external graphics cards, and VR content creation. Apple has even gone a step further and has provided an external GPU development kit for developers to help them get their applications ready for the eGPU support which will greet the consumers by the end of October. Apple is also collaborating with companies like Valve, Unity and Unreal to bring VR creation tools to the Mac. You can therefore say that this macOS High Sierra is definitely going to be a monster and its Safari Browser is sure to be a game changer for all browsers at large! Liked this post? Tell us what you think down below in the comments!